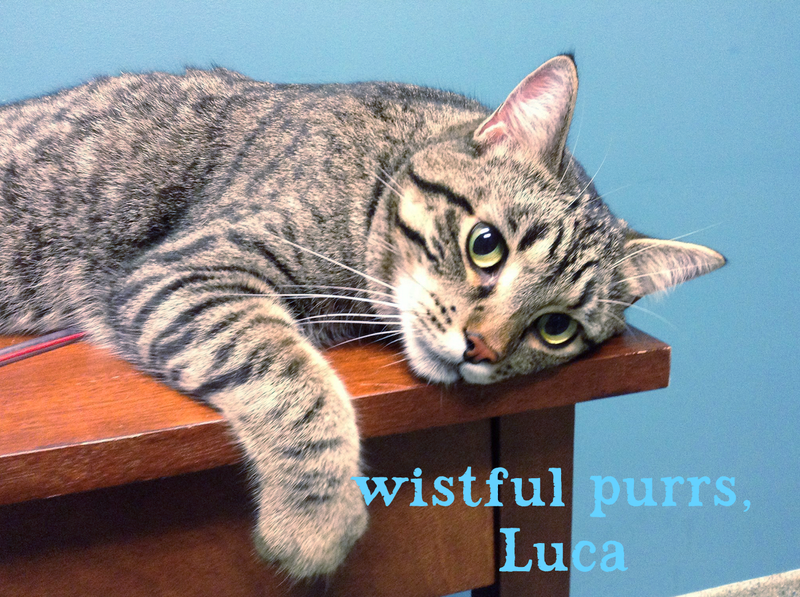 "Hello my name is Luca, and live in Meow Manison over at Wayside Waifs." 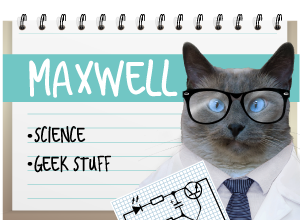 "I am very grateful that you are taking the time to read a little more about me! 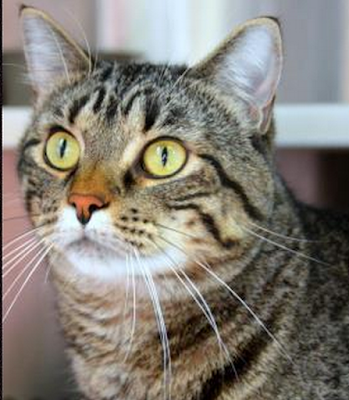 I am a male black and tan tabby who loves to talk, and is very affectionate. I came to Wayside because my loving and caring previous person found me as a stray feline, and they were going to try and keep me for their own, but unforturnely their health was not doing so well. 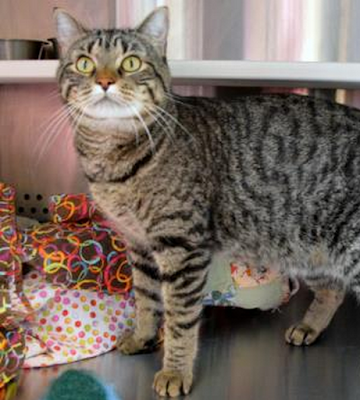 My previous person loved and cared for me so much that they knew I would find my furever home here at Wayside." "I have truly loved my time here, but I am ready for home of my very own. 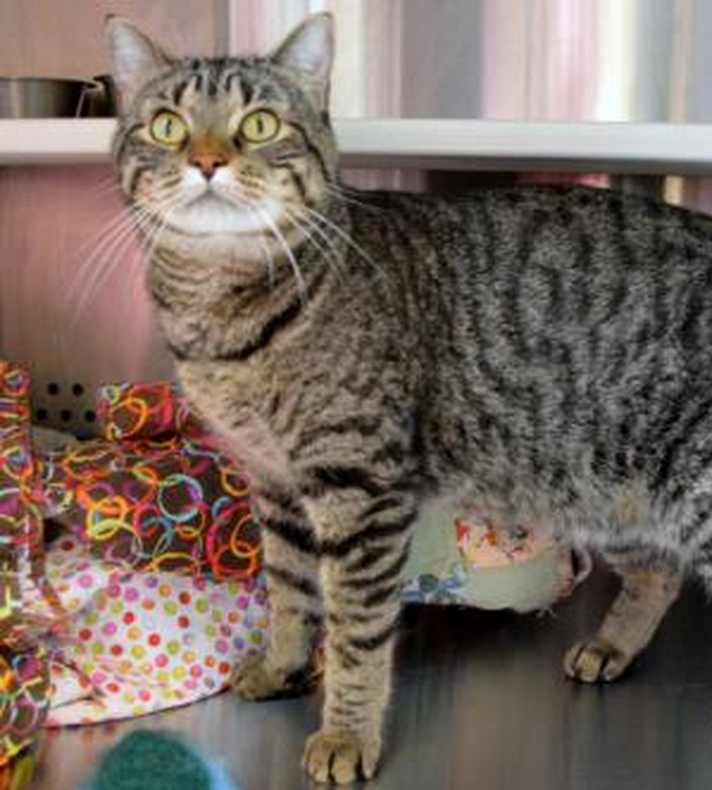 I would really purr your praises if that home would be with you! I am a front declawed, sweet boy who gets scared with very loud noises, so I probably be my best self in a home without children 7 years old and younger. I will love my snuggle time with you, but will also need some playtime as well. I am a fan of just about any toy out there." 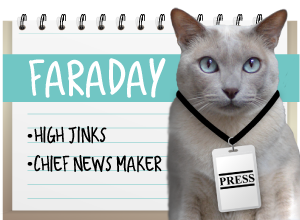 "While being here at Wayside I have found out that my felineality is leader of the band! 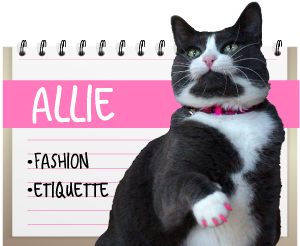 Being a leader of the band means that I am a pretty brave, confident kitty who does everything in a BIG way. I will be your helper in anyway I can; from having people over to doing chores around the house, if it involves you then count me in! 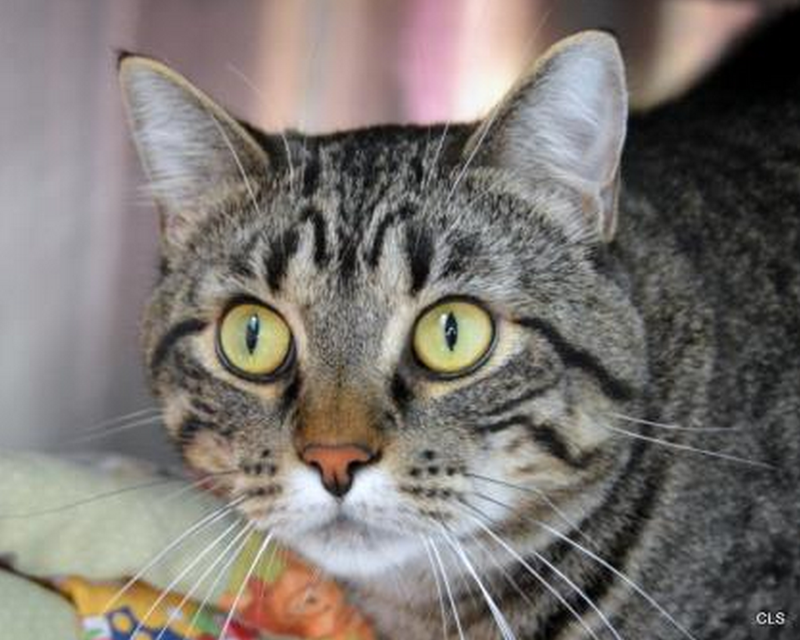 If you are looking for a furever companion that will greet you with meows and purrs at the door, then will be ready for some quality lap, petting time; then I am the guy for you. I would really love the chance to meet you in person, so please come on down." "I will be the handsome feline waiting patiently by the door. I'm so ready to meet you, won't you please come see me? Luca's available at Allie's Alma Mater, Wayside Waifs! You seem like a very sweet, fun guy, Luca! What a sweetheart. We are crossing all paws that he finds his Forever Home very quickly! We sure ope you find a forever home soon. You're a handsome ManCat. You do look evfur so furry sweet! Love that big whirly wheel! Pipo could use one of those...MOL!